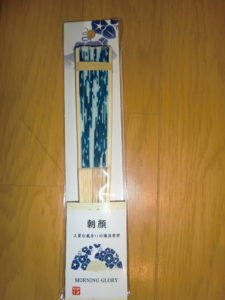 Japanese taste souvenirs @ 100YEN SHOP | Why don't you go on a trip to Japan? Now anyone in Japan would have used it once, which is called 100 YEN SHOP. 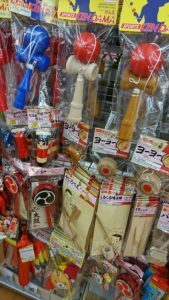 There are anywhere all over Japan, you may often encounter the store luckily while traveling in Japan. Why on earth is it so popular, and have the number of such stores increased over the past several decades? I thought, consumers may be fascinated that the price. 100yen, yeah, it’s a very attractive, and it sounds cheap. But if the items are just cheap, Japanese consumers will soon get bored. That’s not all. There are hundreds and thousands of items on the shop at all times. And each time I visit, I encounter new products. Moreover, I am interested in the development of that product. 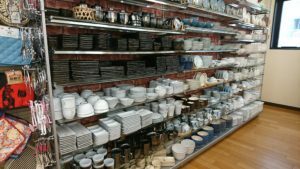 From stationery to gardening, kitchen utensils, grocery items and daily necessities, wide range of products are lined up in the store. 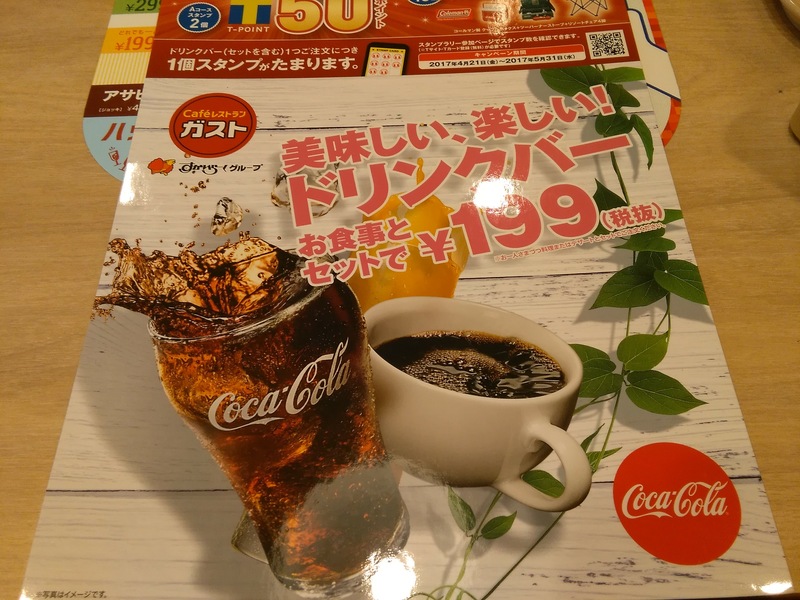 Most of it is 100 yen, although it is actually 108 yen including a consumption tax. I frequently visit the 100yen shop near my house. And I just check the goods even if I do not want to buy. 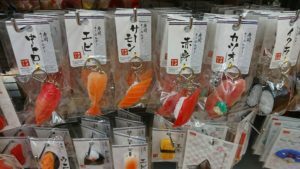 For foreign tourists, I think that the 100yen shop is one of the stores that can buy affordable and Japanese-like souvenirs. It would be interesting to check in the shop with taking time, you may find things Japanese. My recommendation is as follows. Let’s take a look the top three. This would be great for people in single life. 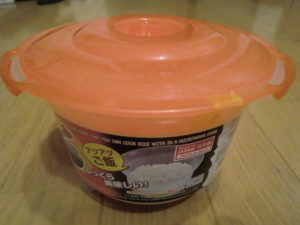 Put rice in this container and rinse several times with water. 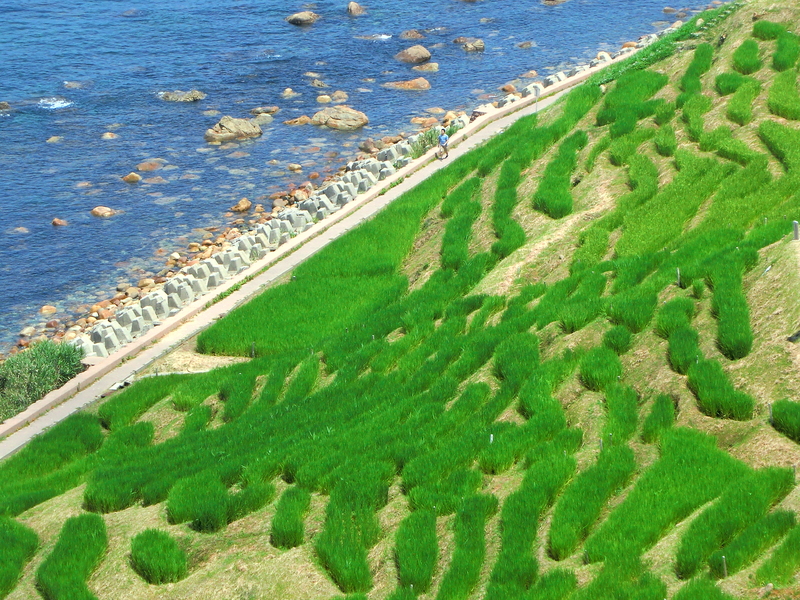 Putting an appropriate amount of water and put into a microwave, rice cooks in less than about 20 minutes. This is convenient. 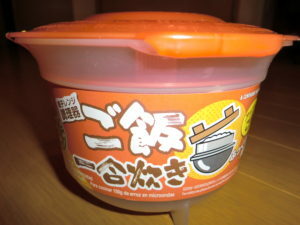 There are also similar goods to this, which is easy to cook with the microwave such as ramen, pasta, egg grill and etc. Sensu is a folding fan made of paper and bamboo frame. (But the cheaper one may be made of plastic made frame.) I recommend that things of Japanese-like design. 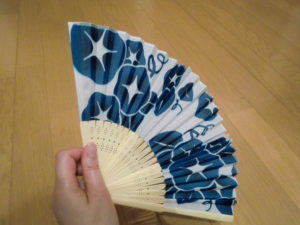 Summer season in Japan is hot and humid, so if you have this fan you will find it useful. It’s light and small so it’s perfect to take it as a souvenir. 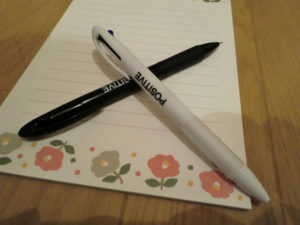 Stationery Japan made is high quality. Besides pen, I also recommend notes, greeting cards, envelopes, erasers, stationery, etc. The ballpoint pen of this picture is three color ink. 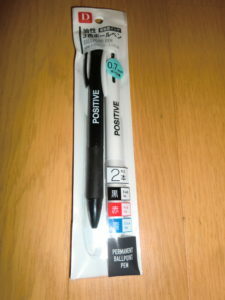 It is 100 yen for 2 pens. I think that 100 yen for this quality is very affordable. The name of DAISO, Seria, CAN DO are famous 100yen shops in the Kanto area. 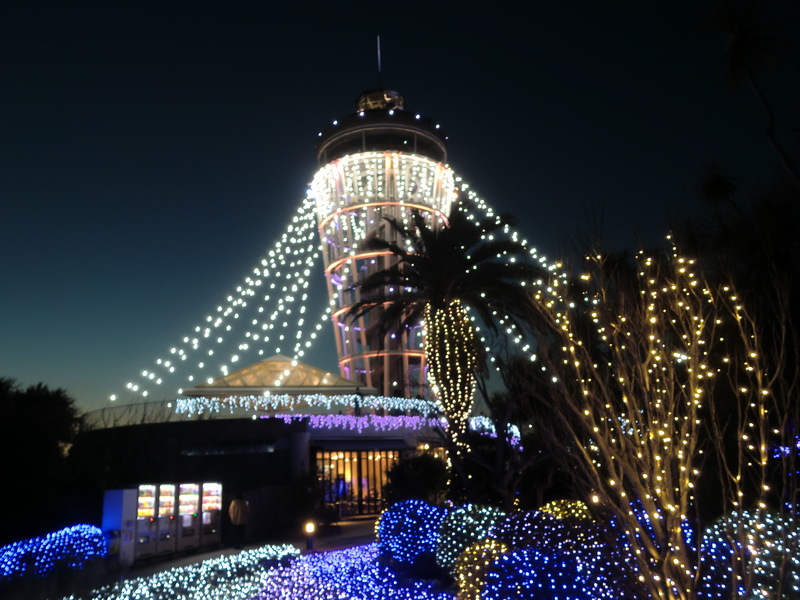 Most 100yen shops are located in department stores, supermarkets, shopping malls. If you come to Japan, please use 100yen shop by all means.